Wish List Wednesday – Fabric Orgasms - Reclusive Fox ""
I’ve been trying to get into sewing for just over a year. 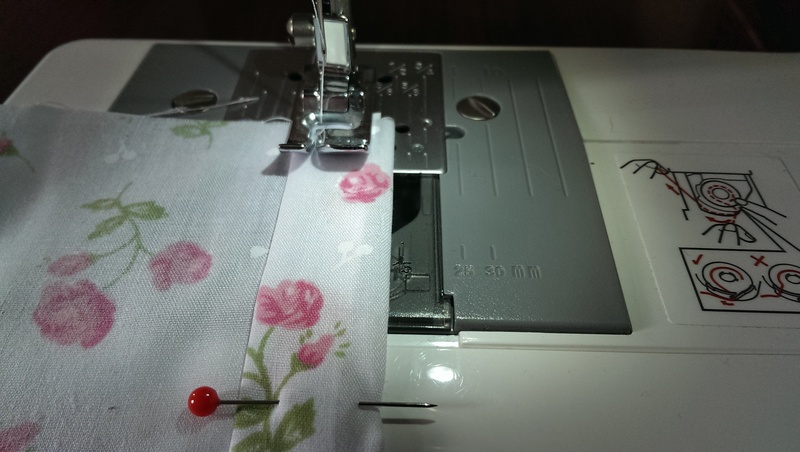 I treated myself to a sewing machine last June but so far I have completed about four different topics (one being the cushion cover you can see in progress in the photo above that I made this weekend). One of the major barriers I’m experiencing is affording the fabrics. We have one shop up town but the materials are all high-end stuff and I simply can’t justify spending out on fabric that will probably be ruined, plus they’re not really to my taste. So for the past year I spend once a fortnight trawling through the charity shops hoping to find some cool remnants or cut offs…this hardly ever happens. Comic based fabrics, vintage and modern-day styles. TV and film based fabrics – Star Wars, The Big Bang Theory, Pulp Fiction, Game of Thrones, anything really. Music/band fabrics – is there anywhere I can get my hands on fabrics based around bands like Pantera, Guns n’ Roses, Slayer, Type O Negative…even One Direction for my daughter. Gothic (not just black fabric with skulls on please), Steampunk and bold sixties prints too. Any help on this would be greatly appreciated. If you know of any appropriate suppliers please leave your link in the comment below or Tweet them to @Reclusivefox.